Divine blessings on Sayyiduna Rasoolullah (Sallal Laahu Alaihi Wasallim) is the highest and the most meritorious act in our Deen. This “Divine Blessings” is called Durood Shareef. When Almighty Allah sends Durood and Salaams upon Sayyiduna Rasoolullah (Sallal Laahu Alaihi Wasallim), He is actually blessing him. When the Malaa’ikah and the Muslims send Durood and Salaams to Sayyiduna Rasoolullah (Sallal Laahu Alaihi Wasallim), they are actually showing Almighty Allah their respect for the Holy Prophet (Sallal Laahu Alaihi Wasallim). Durood is a sure means of Allah Ta’ala granting blessings, peace, prosperity and favours of great magnitude on one who recites Durood Shareef on the Holy Prophet (Sallal Laahu Alaihi Wasallim). The reciter of Durood Shareef receives all the benefits in this world and utmost gain in the next world with addition to the love of the Holy Prophet (Sallal Laahu Alaihi Wasallim). The invocation of Blessings on the Holy Prophet (Sallal Laahu Alaihi Wasallim) is styled in Arabic as “Salawat”, in Persian as “Durood”, and in Urdu as “Salawat-o-Salaam”. The more Durood Shareef we recite, the greater the gain and benefit will be achieved in both the worlds. Hazrat Shaikh-e-Akbar Mo’inuddin ibn Arabi (radi Allahu anhu) has stated that, “Those who claim to love and revere the Holy Prophet (Sallal Laahu Alaihi Wasallim) should increase their recital of the Durood Shareef in patience and perseverance until, through the mercy of Rasoolullah (Sallal Laahu Alaihi Wasallim), they have the opportunity of witnessing his blessed countenance”. Muslims are a very fortunate people. Allah Ta’ala chose for them the name of Islam as a religion, declared to be comprehensive and final for mankind. The person chose to deliver this message in this specific form and extra-ordinary style of love and hope was the most beloved of Allah Ta’ala and became the Light of Divinity to be shed upon the entire universe. This Light devastated all the domains of darkness and depression. By reciting Durood Shareef (Salawat) we invite Light and drive away all darkness from our inner soul. Our mind becomes soft and love saturated. If there is softness in everything, it tends beauty to it. People become ugly owing to lack of this essential beauty of the inner part of the mind. This ugliness cannot be glossed over by any amount of cosmetics. It is the Durood Shareef on the Holy Prophet (Sallal Laahu Alaihi Wasallim) which works wonders. Human spirit today is depressed everywhere and mankind has come to the edge of destruction, decay and devastation. Everyone is engulfed in untold miseries and tragedies of a very great magnitude. Troubles and tortures, pain, poverty, hunger, ill-health, frustrations and accidents have broken the back of a human being. All this can evaporate with the recitation of Durood Shareef on the Holy Prophet (Sallal Laahu Alaihi Wasallim) who has clearly proclaimed that Durood Shareef is the panacea of all ills and that if any one comes across a calamity he should recite Durood Shareef in the maximum number. Allah Ta’ala has promised that if anyone recites Durood only once, He showers ten blessings on the reciter immediately. It is narrated that once Hazrat Musa (alaihis salaam) walked a very long distance in the desert during summer at noon. He fainted due to thirst and hunger. After a while, when he regained his consciousness, Allah Ta’ala sent Hazrat Jibrael (alaihis salaam) to go and inquire from Hazrat Musa (alaihis salaam) if he was thirsty or not. Hazrat Musa (alaihis salaam) replied that he was thirsty. Allah Ta’ala told him that the thirst on the Day of Judgement will be a million times more than what Hazrat Moosa (alaihis salaam) experienced. Hazrat Musa (alaihis salaam) was told that if he wished to get rid of that thirst on the hottest Day of Judgement, he would have to do one thing. When Hazrat Musa (alaihis salaam) enquired as to what should be done, Allah Ta’ala told him that he should recite Durood Shareef in abundance on His last Prophet, Sayyiduna Rasoolullah (Sallal Laahu Alaihi Wasallim). Hazrat Musa (alaihis salaam) thanked Allah Ta’ala and immediately began reciting Durood Shareef on the Sayyiduna Rasoolullah (Sallal Laahu Alaihi Wasallim). In another story, it is narrated that when Hazrat Adam (alaihis salaam) saw Bibi Hawa (radi Allahu anha) he wanted to be close to her, but Allah Ta’ala sent Hazrat Jibrael (alaihis salaam) to stop him. Allah Ta’ala told him that if he wanted to take Bibi Hawa (radi Allahu anha) as his wife, he should first pay Mahr (dowry). On his inquiry as to what the Mahr was, Allah Ta’ala told Hazrat Jibrael (alaihis salaam) to inform him that the best way of paying the dowry is for him to recite Durood Shareef 3 times on His last Prophet, Hazrat Muhammad (Sallal Laahu Alaihi Wasallim). Hazrat Adam (alaihis salaam) did so, Bibi Hawa (radi Allahu anha) was granted to him as his legal and legitimate wife. 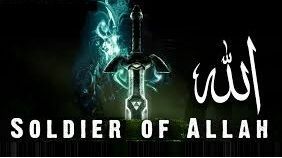 The highest blessings which Islam has conferred on man is the concept of Tauheed or Unity of Allah in its purest form. This has been furnished to mankind through Sayyiduna Rasoolullah (Sallal Laahu Alaihi Wasallim), the last of the Prophets. It is a cardinal duty of every Muslim man and woman, young and old to entertain the highest respect, regard, love and esteem for the Prophet (Sallal Laahu Alaihi Wasallim) and his family. It should be clear that obedience to Sayyiduna Rasoolullah (Sallal Laahu Alaihi Wasallim) is always to be charged with intense love and highest regard for him, for it is through love and esteem that truth can be comprehended and communion with the Creator can be vouch-safed. In fact, love is the motive force, reverence dissolves and implicit obedience to the Prophet (Sallal Laahu Alaihi Wasallim) which is the natural outcome. It is therefore incumbent on those who love him, to pray to Allah Ta’ala and His Angels in wishing for him peace according to the Divine Command. This will reshape the life which is otherwise infested with turmoil. The reciter will get countless and matchless benefits in both the Worlds and can claim to be the lover of Holy Prophet (Sallal Laahu Alaihi Wasallim). “Hadith” is an Arabic word which means “Holy Sayings”. It is the narration of all the affectionate words of advice uttered by the Holy Prophet Muhammad (Sallal Laahu Alaihi Wasallim) from time to time. These sayings (Ahadith) are instructions offered for the guidance of mankind, and to follow them is as important as daily prayers. The famous books of Hadith are the following: Sahih Bukhari, Sahih Muslim, Tirmidhi, Abu Dawud, Muwatta, Nisaai’, Ibn-Majah, Darmi, Baihaqi and Miskhaat Shareef. Important Ahadith of the Holy Prophet (Sallal Laahu Alaihi Wasallim) have been included here for the betterment, benefit guidance and gain of the readers of this book. If followed, the reader of these sayings will receive a permit to Paradise even in this world. Every saying opens door to Divine favour and sure success. 2. Allah showers ten blessings on the man who recites a Durood. 3. The first man who will meet the Prophet (Sallal Laahu Alaihi Wasallim) on the Day of Judgement will be that person who had recited the Durood maximum number of times in his life time. 11. When a prayer is made to Allah it is never accepted unless praise of Allah Ta’ala and Durood Shareef on the Holy Prophet (Sallal Laahu Alaihi Wasallim) is first of all recited. 13. Three persons will be under the cool shade and the favours of Allah Ta’ala on the Doom’s Day. One who kept the Holy Prophet’s (Sallal Laahu Alaihi Wasallim) Sunnah alive, one who removed difficulty of a fellow being and one who recited maximum number of Durood Shareef in his life time. 16. The reciter of 10 Duroods in the morning and 10 in the evening will receive the help of the Holy Prophet (Sallal Laahu Alaihi Wasallim) on the Day of Judgement. 17. One who recites Durood Shareef near the shrine of the Holy Prophet (Sallal Laahu Alaihi Wasallim) is heard by him there and then alone. 20. The Holy Prophet (Sallal Laahu Alaihi Wasallim) said that he himself recites blessings on one who recites Durood on him. 23. All people will be presented to the Holy Prophet (Sallal Laahu Alaihi Wasallim) with their habits, natures and distinct manner, so it is obligatory for a man to recite maximum number of Durood. 31. If the name of the Holy Prophet (Sallal Laahu Alaihi Wasallim) is mentioned and one who hears it but does not recite Durood Shareef, understand that he has forgotten the path to Paradise. 32. “I pray for all those who recite Durood on me”, said the Holy Prophet (Sallal Laahu Alaihi Wasallim). 33. If any one recites Durood Shareef from any place, any part of the world from any distance, it actually reaches the Holy Prophet (Sallal Laahu Alaihi Wasallim) immediately. Allah Ta’ala has appointed several Angels who are given exclusive duty to collect all Durood Shareef and present the same before the Holy Prophet (Sallal Laahu Alaihi Wasallim) immediately. 36. Wherever you are, from any quarter of the world, you must recite Durood as it reaches the Holy Prophet (Sallal Laahu Alaihi Wasallim). 38. The Holy Prophet (Sallal Laahu Alaihi Wasallim) said to his wife that any one who hears the name of the Holy Prophet (Sallal Laahu Alaihi Wasallim) and does not recite Durood on him will not see the beautiful face of Prophet (Sallal Laahu Alaihi Wasallim) on the Day of the Judgement. 39. Sayyiduna Ali (radi Allahu anhu) reports that Rasoolullah (Sallal Laahu Alaihi Wasallim) said, “The real miser is he in whose presence I am mentioned and then he fails to recite Salat on me”. 41. The Durood Shareef that is recited by the person is written with a Golden Pen on a Silver tablet by the Angels. The Angels then present this Durood Shareef to Sayyiduna Rasoolullah (Sallal Laahu Alaihi Wasallim) and proclaim, “O Habeeb of Allah! The son of such and such a person has presented this gift in your majestic court”. Sayyiduna Rasoolullah (Sallal Laahu Alaihi Wasallim) said: “Without doubt, there is an Angel of Almighty Allah whom Allah has given power to listen to the voices of all the people. Whenever any person reads the Durood Shareef, this Angel delivers the Durood Shareef to me. I then plead to Almighty Allah for the person to receive ten blessings for reading a single Durood Shareef”. (Jami’us Sagheer). 9. One should possess a clean and untainted intention. One should read with the sole intention of pleasing Almighty Allah and Sayyiduna Rasoolullah (Sallal Laahu Alaihi Wasallim). 11. A person should try his level best to follow the example or Sunnah of the Holy Prophet (Sallal Laahu Alaihi Wasallim). 12. When reading Durood Shareef, you should try and imagine that you are sitting in the august presence of Sayyiduna Rasoolullah (Sallal Laahu Alaihi Wasallim). Utmost respect and reverence should be displayed. 13. Whenever one hears or recites the Durood Shareef, it should be read and written in full. It is also preferable to kiss one’s thumb and rub them over one’s eyes when hearing the name of the Holy Prophet (Sallal Laahu Alaihi Wasallim). It’s a Sunnah of Hazrat Abu Bakr Siddique (Radiallah Tala Anhu). 15. Whenever one takes the name of the Holy Prophet (Sallal Laahu Alaihi Wasallim), one should use titles of respect and reverence. 16. As an advantage one should count (if possible) on one’s fingers as Sayyiduna Rasoolullah (Sallal Laahu Alaihi Wasallim) often encouraged this practice because on the Day of Qiyamah those same fingers will bear witness at the time when they are questioned. Note: Above are mostly Mustihibaats. If above conditions cannot be met please do not let them stop you from reciting Durood Shraif. One should recite Durood Sharif whenever possible but avoid places like restrooms, toilets and bathrooms.